Preparatory Tempo Marks are introduced in the Ultimate Music Theory Prep 1 Rudiments Workbook. As students develop their understanding of rhythm and pitch, they also develop their knowledge of speed (tempo). Preparatory Tempo Marks are largo, lento, adagio, andante, moderato, allegretto, allegro, presto and prestissimo. On Page 116, we list the Prep 1 Tempo Marks in speed order from slowest to fastest (and not in alphabetical order). During my student Annella's lesson, we reviewed the Preparatory Tempo Marks and she began to feel overwhelmed. 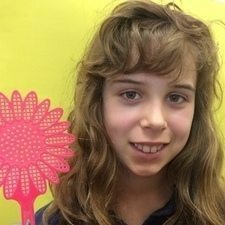 She was worried about how she was going to remember them all - well, I knew THAT feeling! Being dyslexic and having a real need to "See, Hear and Feel" concepts in order to get them, I needed some "Memory Joggers" (hints). I am sharing them with you in this blog. Please remember that these are tips that worked for me and have supported many of my students. You may have your own (and PLEASE share them in the comments section below!). My first tip is to use the speeds when you say the speeds! As you say the 3 slow Prep 1 Tempo Marks, say them slowly. Then, a little faster for the 3 medium tempo mark. And, of course, say them even faster for our 3 fast speeds. My second tip is to use the Flashcards! Every Ultimate Music Theory Workbook comes with 80 FREE Flashcards - they are at the back of the book and are all ready to be taken out and used (at home and at the lesson). Annella and I had fun reviewing some "Memory Joggers" for the Tempo Marks found in the Prep 1 Rudiments Workbook Flashcards. 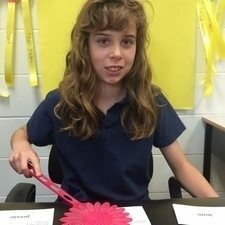 We selected one flashcard from each of our speeds so that she had 3 distinct speeds to choose from. I then played melodies and she slapped the tempo flashcard that matched my tempo! Largo is defined as very slow. Sometimes it is defined as very slow and broad (and if anyone can tell me how to explain to a 7 year old child how to play "broadly", please let me know in the comment section!). Adagio - (Pronounced Ah-Dah-Gee-Oh) When my old dog and I go out, we go fairly slow. (If you say it with a southern drawl - Mah dahg an dah go slow - it makes a bit more sense.) Adagio - go fairly slow. Andante - (Pronounced On-Dawn-Tay) Aunt Dawn and I went for a walk while the Ants came marching in moderately slow. Andante - moderately slow, at a walking speed. Moderato - Moderato is a Moderate, Medium, Middle Speed. Moderato - at a moderate tempo. Allegro - (Pronounced Ah-Leg-Row) When all your legs are going, you are going fast. Allegro - fast. Presto - A magician who is changing a rabbit into a bird might wave his magic wand over his hat and say "Presto Change-o" and, "very fast", the rabbit turns into a bird! Presto - very fast. Preparatory Tempo Marks Tip #4 - Understanding "etto"
I explain that "etto" (and "ino") are special endings (suffixes) that we add to words to make the definition mean "fairly" and "not as". Largo is very slow; Larghetto is fairly slow but not as slow as Largo. Andante is moderately slow; Andantino is fairly slow but not as slow as Andante. Allegro is fast; Allegretto is fairly fast but not as fast as Allegro. the definition continues as BUT NOT AS [whatever speed the word is] as the word. For example: If the tempo is a fast speed, it will be "fairly fast but not as fast as"; if the tempo is a slow speed, it will be "fairly slow but not as slow as". Preparatory Tempo Marks Tip #5 - Understanding "issimo"
I explain that "issimo" is also a special ending that we add to words to make the definition mean "very". Presto is very fast; Prestissimo is very very fast. Piano is soft; Pianissimo is very soft. Forte is loud; Fortissimo is very loud. So if a word ends with "issimo", just add "very" to the beginning of the definition! Preparatory Tempo Marks Tip #6 - Use the UMT Flashcard App! Yes, there is an app for that! 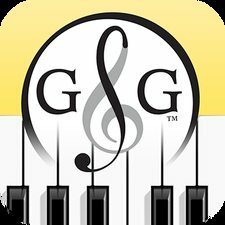 Check out the UMT Basic Music Theory Flashcard App NOW by clicking here. 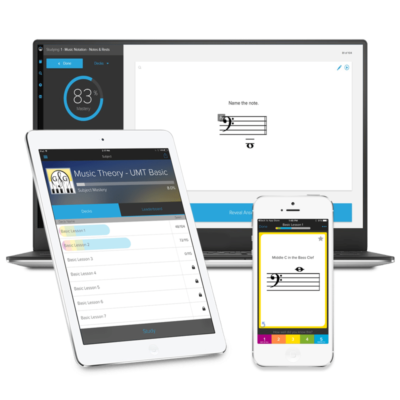 With your Basic Music Theory Flashcard App in the Brainscape Program, you can set up the Flashcards into groups and have your students quiz the Tempo Marks. With our interactive flashcards, you will also hear the correct pronunciation for these terms. Bonus! Please share any Tempo Tricks and Tips that you have in the comment section below! I love learning from other Teachers! Thank you so much!!! These tips are very helpful! My friend and fellow teacher Deb Miller-Cushon shared her “Prep Tempo Rap” with me and I want to share it here. I love it!! a tempo I return to the tempo from before! Isn’t that AWESOME! Thanks so much for sharing it Deb. I will definitely be using this with my students!